BRAFA Presents Christo as their Guest of Honor in 2018! One of the longest-running and most prestigious fairs in the world, BRAFA is the first major art event of the year, considered a reliable barometer of the art market. Organized every year by the nonprofit Belgian Antiques Fair Association, it brings a record number of antiques, art and furniture galleries to Brussels, presenting an eclectic selection of rare pieces from all over the world. Founded in 1956 on the initiative of Charles Van Hove and Mamy Wouters, the long-standing President and Vice-President of the Belgian Chamber of Antiques Dealers, BRAFA is now recognized worldwide as one of the leading international fairs in Europe, attracting more than 60,000 visitors. Coming back for its 63rd edition to Tour & Taxis this January, BRAFA 2018 will bring together 134 galleries from 16 countries, covering 20 specialties and showing between 10,000 and 15,000 pieces. The exciting exhibition program will be accompanied by a comprehensive series of art talks. 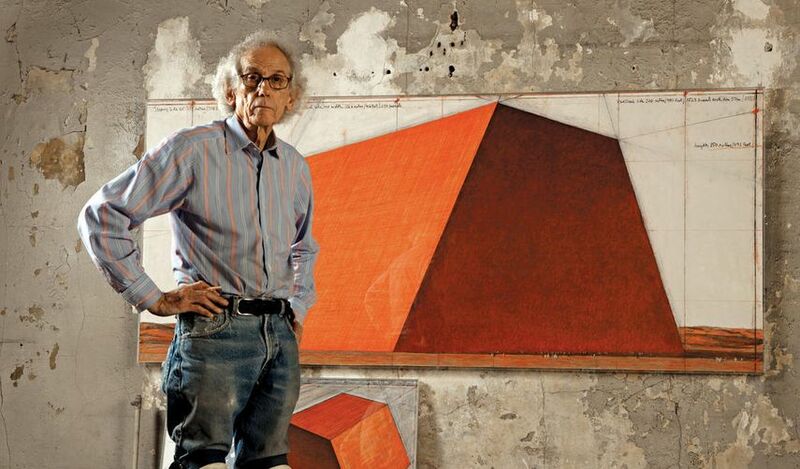 In addition, the fair will welcome Christo, one of the most renowned and influential contemporary artists today, as a special guest of honor. Enhancing the genre of land art alongside his wife Jeanne-Claude, the duo is famous for creating large-scale installations that presented a different approach to the environment and raised our expectations of it. The fair will now present one of his historic works from the 1960s. BRAFA 2018 will bring together 134 Belgian and international galleries and art dealers coming from 16 countries. The visitors will have an opportunity to see a variety of specialties which cover the arts history from antiquity to the contemporary era from every possible origin and region, at the same time experiencing quality and eclecticism that the fair has been famous for. The selection is made of a core of faithful galleries that have been present at the event for many years and the new international galleries that are joining their ranks. Some of the returning galleries are Chamarande from Brussels, specializing in antique jewelry, Galerie Christian Deydier from Paris, showing Asian art, Dario Ghio from Monaco, with early gold and silverware, collectibles, and Gallery Tanakaya from Paris, with original prints, among others. Among the major names that will participate this year for the first time are ArtAncient from London, dedicated to archaeology, and numismatics; Galeria Bernat from Madrid and Barcelona, bringing Haute Epoque; Galerie Chastel-Mar.chal from Paris, showcasing 20th-century decorative arts; Galerie Philippe David from Zurich, highlighting modern and contemporary art; Gladstone Gallery from Brussels, Galerie Maeght from Paris, presenting 20th-century paintings and sculptures; Guilhem Montagut Gallery from Barcelona, showcasing tribal art; Renaud Montm.at from Paris with Asian art; Osborne Samuel Gallery from London, with Modern British Painting and Sculpture; Galerie de la Pr.sidence from Paris, 20th-century masters and figurative painters of the 1950s; Galerie Ratton from Paris, with tribal art; Repetto Gallery from London, presenting Italian post-war art, Arte Povera, and Land Art; Galerie Schifferli from Geneva, 20th-century paintings and works on paper; and Theatrum Mundi from Arezzo, and their 21st-century cabinet of curiosities. Welcoming Christo as the guest of honor, BRAFA will present a piece titled Three Store Fronts from 1965-66, specially chosen for the fair by the artist. First displayed at the municipal Van Abbemuseum in Eindhoven, the Netherlands, the piece was later included in the exhibition Christo and Jeanne-Claude: Early Works, 1958-69 at the Martin-Gropius-Bau in Berlin in 2002. The largest work ever on show at BRAFA, it is more than 14m long and 2.5m tall. The piece is part of the series of life-sized Show Windows and Store Fronts created after the duo emigrated to New York in 1964, recalling the gigantic dimensions of the city’s architecture. First Store Fronts were made out of architectural elements found in scrap heaps and the remnants of demolished buildings, draped with fabric or wrapping paper. Initially created in the warm color tones with the charm of hand-craft, the design gave way to an industrial frigidity with cold and clinically polished metallic surfaces in 1965. Having elements that have been carried throughout the artists’ career, these pieces can be seen as forerunners of projects such as the Valley Curtain, the Running Fence or The Gates. The exhibition program will be accompanied by a comprehensive series of BRAFA Art Talks. The program includes Angela Rosengart, a life devoted to art, a conversation with Roger-Pierre Turine, art critic for La Libre Belgique, Matisse and the northern painters by Dominique Szymusiak, Honorary Curator at the Matisse Museum of Cateau-Cambrésis, Discussion about the art market led by Amid Faljaoui, Director of the French-speaking magazines at Roularta and Léon Spilliaert, a captivating visionary by Anne Adriaens-Panier, an Honorary Curator at the Royal Museums of Fine Arts of Belgium and Artistic Director of Het Spilliaert Huis, Ostende, among others.